I have been keeping the Fab Friday colors close at hand, since I thought they were interesting together. I am glad they were close, since I thought with alittle worn look to the set, this would make set the card off wonderfully! Last, I grabbed the sketch from Sketch Frenzy Friday, and popped it all together! (Minus the sentiment - OOPSY)...huh. Hope that works for me! Thank you for stopping by! Have a great day! Go ahead and head over and play!!! FAbulous use of the theme, love that set. Love the card! What a great idea to use the digistamp from SU!! Thanks for joining us at SFF this week! This set works perfectly with these colors! Love the antique brad as part of the clock hands! Thanks for sharing with us at Fab Friday! 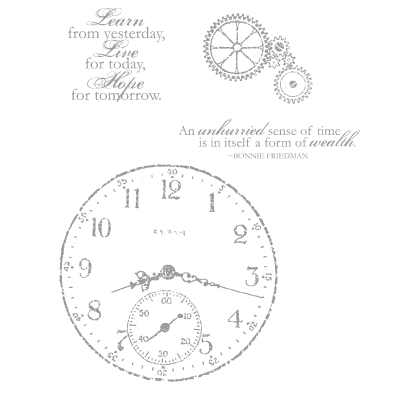 Fantastic use of a digi stamp. Great that you were able to make this card for so many challenges. Thanks for playing with SFF this week. Wow! I never would have guessed that your main image was digital. Great hybrid card! I love the sponging and the "aged" look of your card. It goes wonderfully with the theme. Thanks for playing at Fab Friday! How nice is this. 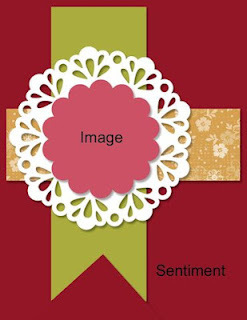 I love it and I love that you used a digi stamp. Wow! Great card! Perfect combination of all those challenges. 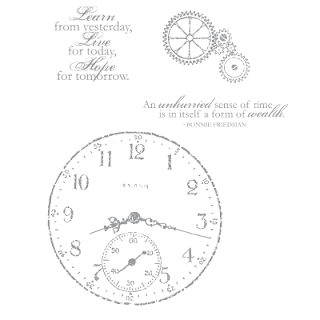 The clock is the perfect elements for our sketch! Thanks for playing along with us at Sketch Frenzy Friday! Awesome card! What a perfect image for this sketch! Love all the distressing, too! Thanks for joining us at Sketch Frenzy Friday! Beautiful card! 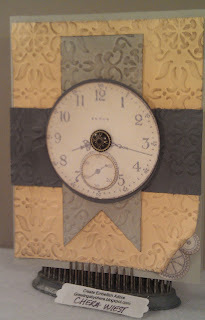 Love the added embossing and the fab clock face image! Thanks for playing along with the Bloggers Challenge! Oh, these are great colors for that set and how cool that you could use MDS, right? Thanks for playing at Fab Friday! 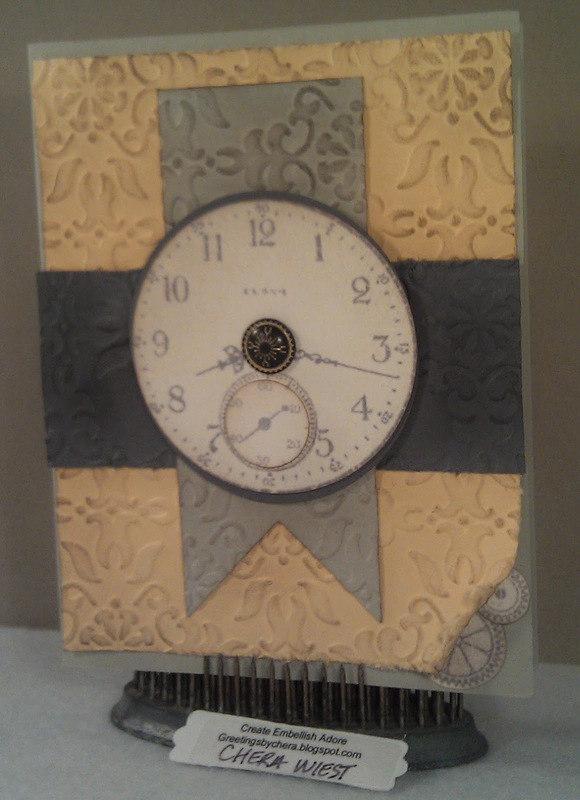 I love the clock - it matches the colors so perfectly! Thanks for joining us at Fab Friday.